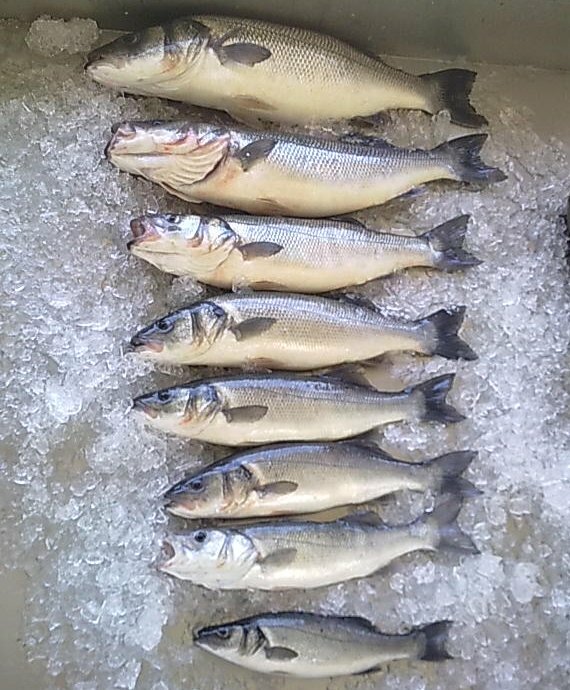 At Erissos Fish Farm we offer our customers Sea Bass (Dicentrarchus Labrax) of the highest quality since 1993. With twenty five years of experience in growing Sea Bass we are able to offer products that are unmatched in quality and tastefulness. The methodologies that we adopt in growing our Sea Bass, similar to those adopted for all our products, are certified	for compliance to the ISO 9001:2015 and ISO 22000 quality standards. For Sea Bass our product line includes eight weight categories starting at 350 gr with the typical adult portion and reaching the weight of 4.000 gr which is ideal for serving the fish sliced or sharing it with a group of friends. The table that follows shows the core categories of our Sea Bass product line and the repsective ordering code for each category.